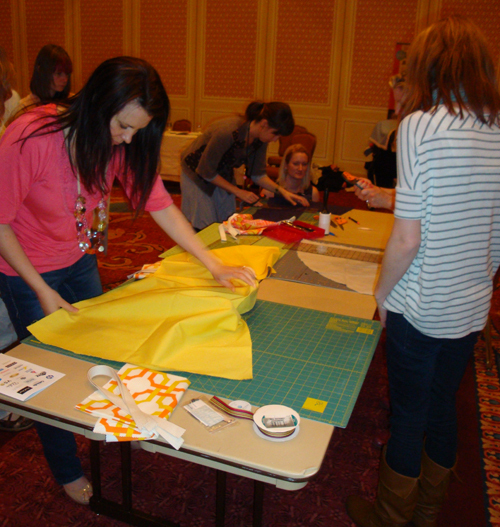 We are so excited and honored to have been part of the recent Altitude Design Summit in Salt Lake City, Utah, January 18-21, 2012! The Altitude Design Summit is the perfect place where design and lifestyle bloggers connect to learn, share ideas and experiences as well as their passion for fashion, art, food, photography, travel, interior design, or adventure. In partnership with BurdaStyle, BERNINA hosted a series of sewing classes, taught by Rachel Faucet of handmadecharlotte, and Dana Willard of Made, to create quick and easy projects like a draw string bag or a fun tote bag on our stylish B 350 PE sewing machines. 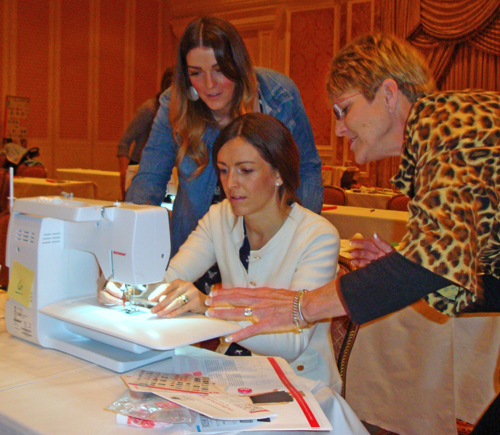 BERNINA sewing specialists Jeanne Delpit as well as Denise and Eric Lopez from Nuttall’s, an authorized BERNINA dealership with four convenient locations around the Salt Lake City area. When there were questions, Jeanne, Denise and Eric had the answers! Whether it was how to thread the machine with the help of the automatic needle threader or how to stitch up the project; the sewing specialists on the spot supported our creative students to stitch up their cool project from start to finish. Rachel Faucet of handmadecharlotte sewed cute draw string bags featuring her fabric designs printed by spoonflower. Rachel is a very passionate designer who recently released a children’s line with Anthropologie. Dana Willard of Made brought all the tools to create a stylish tote bag. 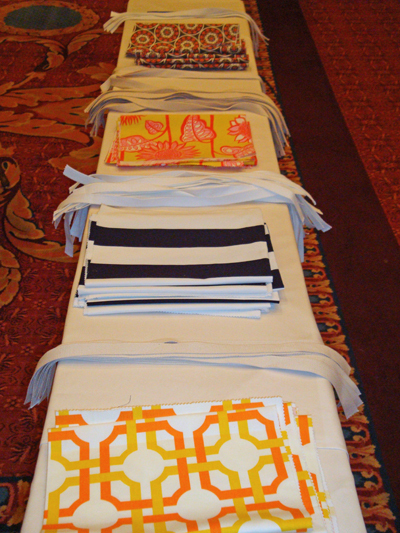 Together with her close blogging and sewing buddies she introduced her tote bag project with ease. The creative blogger recently published her first book The Fabric Selector! 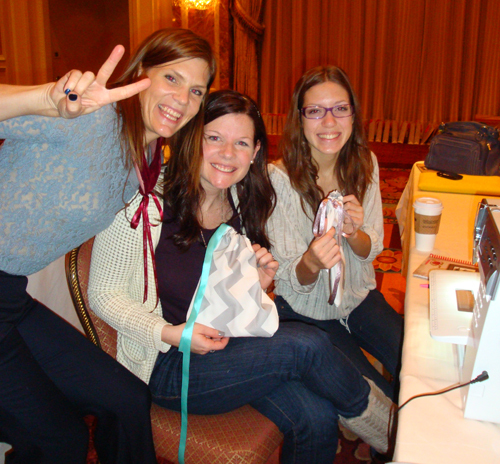 The BERNINA and BurdaStyle sewing sessions were a lot of fun. 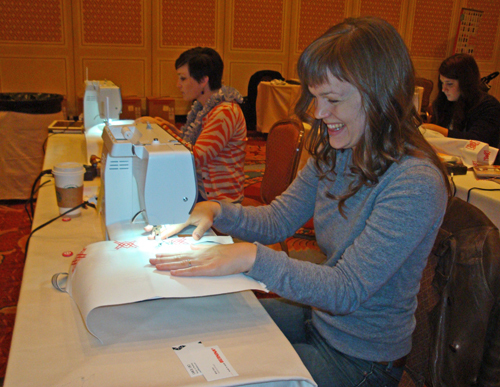 Click here and enjoy the latest pictures from Alt 2012… And stay tuned for future BERNINA sewing sessions at Altitude 2013! Previous Previous post: Resolution: A Clean, Organized Sewing Space — DONE!